add your spouse for $250 includes a free range pass! Book your 2019 reservation now! Reserve a tee time, plan a business meeting, special event, golf outing, retirement party, class reunion, wedding, graduation or birthday party.. Whatever the occasion, let us handle all of your catering needs! ​ Our professional staff will ensure that your event is successful. Download our Membership Brochure for a preview of benefits. WE WILL RE-OPEN ON SATURDAY, APRIL 6, 2019. ​ LOOKING FORWARD TO ANOTHER GREAT YEAR. We are currently accepting applications for the Kitchen staff, Ground Crew Members, and Bartender/Servers. For more information and to download an application, please visit our Employment section of this website. 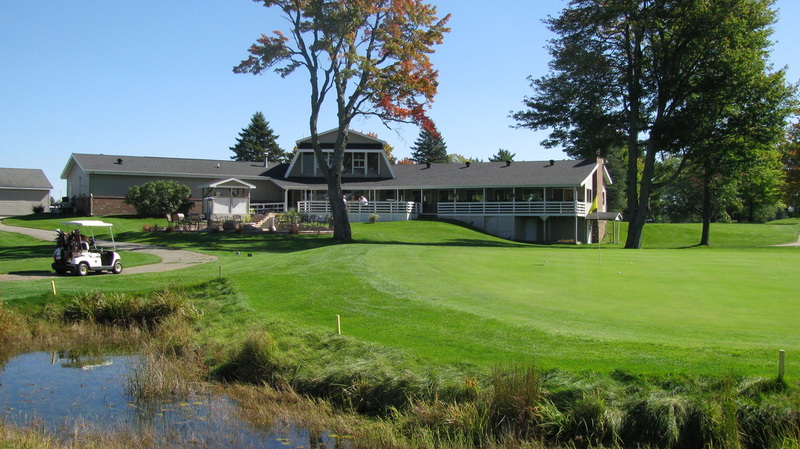 The Grayling Country Club has only one mission, that is to serve the needs of those who enjoy the game of golf. The club provides an opportunity for busy people to relax with friends in an outdoor atmosphere that invites everyone to be in harmony with nature. The restaurant and bar extend the joy of a round of golf; and they add a perfect chance to rewind the shots that made a difference. If golf is a spectator sport for you, then it is fun to dine or have a drink overlooking the beautiful 18th fairway and green from the deck or the new golf tribute, patio and fire ﻿pit. Every Friday night starting Memorial weekend through Labor Day weekend we feature our fine dining evening with a menu that is sure to please! We have outside seating overlooking our 18th green. Call ahead for reservations, you're sure to be pleased. We offer many different types of leagues most days of the week for every golfer, for more information follow our league link above. Schedule a future tee time or a golf event!